If saving money is a New Year’s resolution for you, consider using San Diego’s bus and trolley system to get you around America’s Finest City! Ditch the car payments, high gas prices, and frustrating parking situations by taking San Diego public transportation to work, school, or out for an adventure. 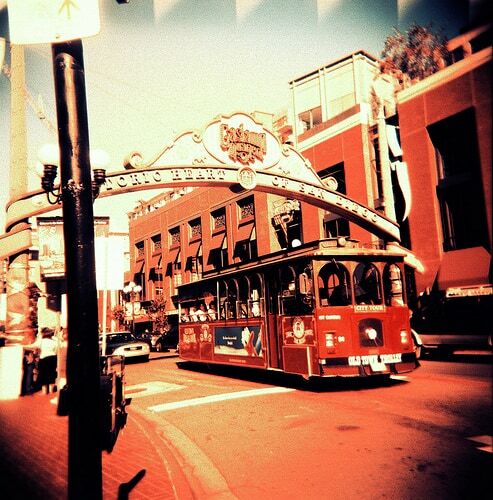 With so much to see and do, you can still depend on the bus and trolley to get you there. When you stay with us at Foxwood Corporate Apartments, you’ll have a prime location for catching the San Diego public transit. 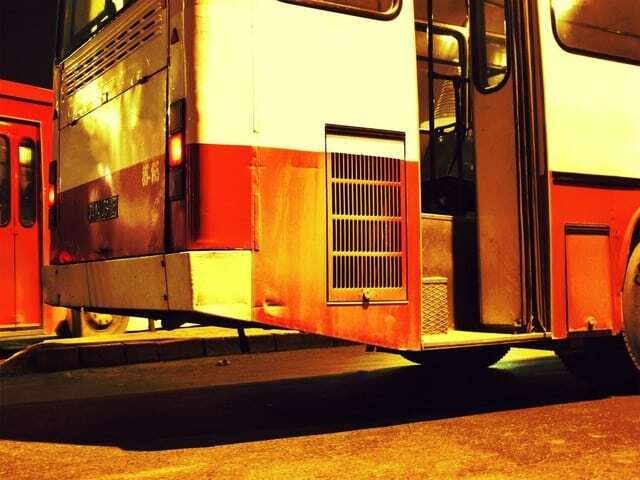 The 933 bus station is just across the street from our apartments on Delcardo Avenue. From the bus stop you’ll find many restaurants and shops along the way, and the Palm Avenue Trolley Station is just minutes away from Foxwood. 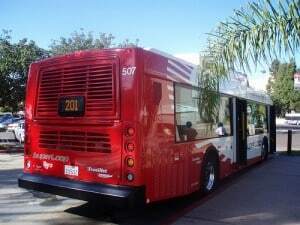 You can go nearly everywhere in San Diego using the bus and trolley, including downtown San Diego, Coronado, Old Town, Mission Valley, U.S./Mexico border, and the beaches. Check out the San Diego bus and trolley schedule on our website for fast, convenient public transportation when you need it. It’s also very affordable to take the bus and trolley around San Diego. You’ll save money by purchasing daily and monthly passes that allow unlimited use of San Diego’s bus and trolley lines for the designated day or month. Passes may be purchased at Vons Supermarkets or trolley stations. If you’re looking to save in 2014, the San Diego public transportation is perfect to put your new budget in full effect. With the phenomenal location of Foxwood and the convenience of the San Diego bus and trolley schedule, you’ll be getting around San Diego with ease. Hop on the San Diego bus or trolley and glide through town for the holiday season. Whether you’re travelling alone or with friends and family, the San Diego public transportation will get you to your chosen destination quickly and efficiently. Also, if you choose to stay with us at Foxwood Corporate Apartments, you’ll have a quick and easy location near the 933 bus stop! A stay at Foxwood Apartments will not only be luxurious and relaxing, you’ll also be able to access the San Diego public transport right across the street on Delcardo Avenue. Once you hop on the 933 bus, you’ll be minutes away from restaurants, strip malls, movie theatres, and the San Diego Palm Avenue trolley station. The San Diego trolley connects many integral parts of San Diego from East County to the coastline. If you’re adventurous, you can also take the trolley right down to the U.S./Mexico border! The possibilities are endless with the San Diego bus and trolley schedule. You can easily search for bus and trolley times and navigate your trip effortlessly with the assistance for maps, bus routes, and timetables. Visit our Public Transportation section of our website to learn more about the many ways to see San Diego by bus or trolley. For a quick, easy, and affordable way to see America’s Finest City, you’re going to love the San Diego bus and trolley system. One-day and monthly passes are available to purchase so that you can enjoy the bus and trolley all day long, no matter where you are. There’s no place like San Diego, come stay with us at Foxwood and we’ll help you navigate your way through America’s Finest City!